When it comes to autumn, there is a must have item in the wardrobe: a parka. It is perfect for those boring rainy days, when you want to go for a casual and comfy look. For the look of the day I decided to pair it with a black dress, biker boots and fishnet tights to give to the whole outfit a rock and edgy vibe. 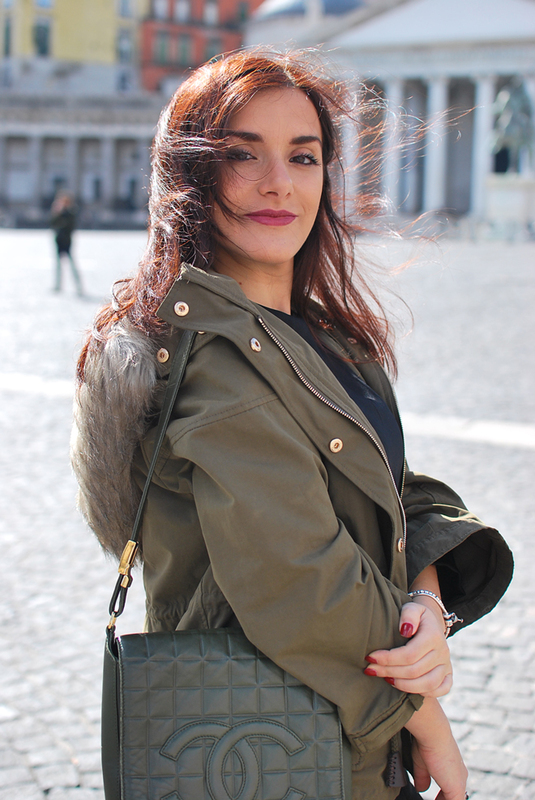 Last but not least, I chose my vintage Chanel bag, which matches almost perfectly with the parka’s colour.